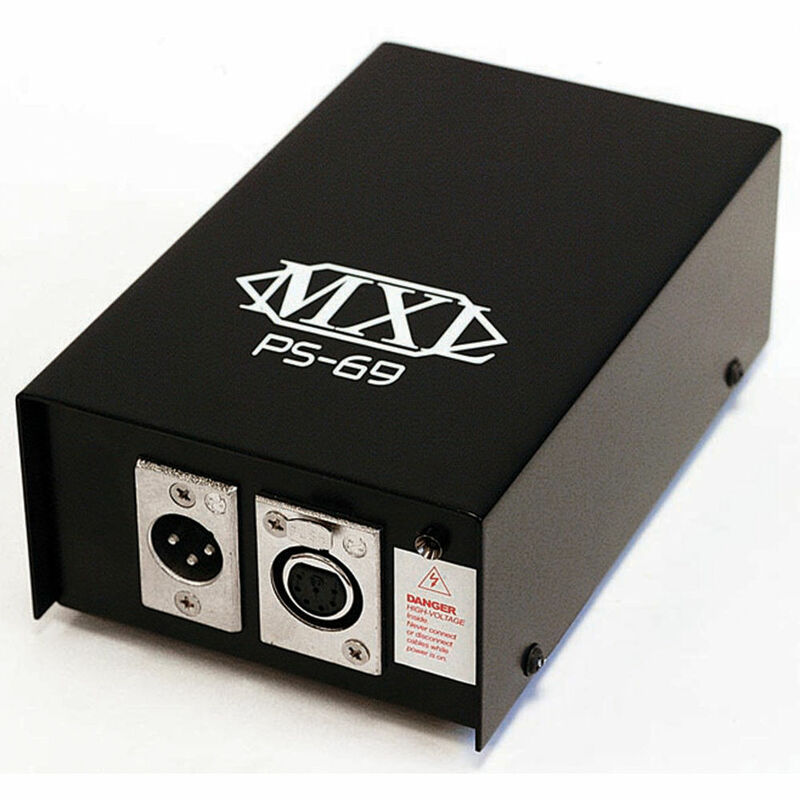 The MXL PS69 is the replacement external power supply for the MXL V69 vacuum tube microphone. Box Dimensions (LxWxH) 12.1 x 9.4 x 3.8"
PS69 Replacement Power Supply is rated 5.0 out of 5 by 2. Rated 5 out of 5 by Michael from Great follow up It was on backorder when I placed the order, but this company was great with email response and I did not have to follow up call with them. Then sent me tracking information and the power supply showed up about a month later, in great condition. I've already done a couple of sessions now, and I think my old one had been going out for a while, because the Mic seemed to operate better than ever. Rated 5 out of 5 by Anonymous from PS69 I bought the V69 second hand and when it arrived, found that a resistor in the power supply had failed. The seller gave me the money to buy this as a replacement. It seems well built and durable but only time will tell. Thus far, no complaints.